Video marketing has been getting huge for a few years now. Videos allow companies to reach a wider audience (thanks to the popularity of powerful video marketing platforms) and to increase sales and conversions (videos have been found to be the easiest way to explain your selling points). But how easy it is to really see ROI from your video marketing campaigns? These days, every other company is implementing video marketing tactics in some way or another. Whether it’s publicizing video testimonials and reviews or creating educational video resources (in the form of webinars or courses), there’s a lot of brand-owned video content floating around. But how many of those companies have achieved real tangible results from those video production efforts? And what exactly is ROI when it comes to video marketing? Does it all come to investing huge budgets into video production and promotion? It’s astounding how many video creators don’t quite understand why they are doing video in the first place. The usual arguments “My competitors are doing that” and “It seems to be a thing now“often come into play here. It’s never good to do anything just for the sake of doing it, not just in marketing, mind you. The question “What I am trying to achieve here” always comes first. Videos work great for bringing your point across. You can use videos to tell more about your company, its story, the team behind it, your success stories, etc. 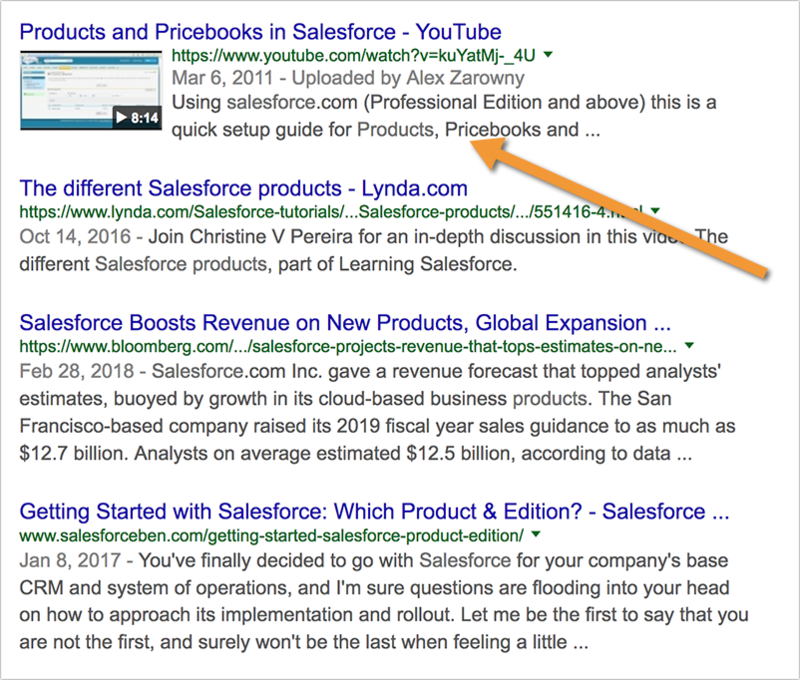 I’ve written previously for Search Engine Watch about how to turn your website into a niche knowledge hub; videos can help with this a great deal, as they’re the easiest way to explain complex things and show off what you are good at. As you can see from my previous two points, video marketing cannot always be measured. It’s difficult to put a price on things like reputation, authority and loyalty. But that doesn’t mean video marketing can’t be turned into an additional income source, immediately affecting your bottom line. Videos can be monetized in many ways: They can drive money from ads, you can offer sponsorship opportunities, you can provide video creation services and you can use videos to put together paid content upgrades, like video courses and premium on-demand video channels. That being said, your goals may differ and there’s no preventing you from setting several objectives (both short- and long-term) behind your video marketing strategy to try and achieve many goals. In fact, it’s the smartest way to go. Online reputation management is tricky. To put it simply, there’s never “enough” here: No matter how solid your reputation looks like at this very moment, you may always want to do more. The thing is, the more popular your brand becomes, the higher the risk that someone will want to build their name by trying to ruin yours. Strong brand has lots of benefits: With it comes loyalty, return visitors and buyers, word-of-mouth and more. But there’s one risk that comes with that online popularity that you always need to keep at the back of your mind: There may always be people and businesses that may want to get known by attacking your brand. Videos are a great way to solidify your online reputation because they tend to be easy to rank for all types of navigational queries and they also attract a good deal of attention in search results thanks to video rich snippets. Play with many more video creation tools that will give you many more video content ideas. For a SaaS company and influencer looking to establish themselves as an industry knowledge hub or a niche authority, video content is an excellent medium to do so. Youtube has been limiting users‘ monetization freedom for years. Even Youtube stars complain that their income from Youtube’s own monetization has dropped dramatically. And with the recent update, Youtube has blocked newer and less established video creators from their monetization program. Finally and most importantly, it’s never advisable to put all eggs in one basket and rely on third-party platforms: Take full ownership of your own content and your own community! You own the video content you are creating: So make sure you have one place where you can take advantage of it, i.e. your own website. This is especially true for video tutorials that tend to take a lot of time and effort. Make sure you put that effort into a better, bigger use, i.e. ultimately putting together a course which you can then use to monetize your video creation efforts, build a separate community of your own and establish yourself as a niche authority. I used to be a vocal supporter of Udemy for this purpose but their recent moves in limiting my rights as a creator (dictating pricing strategy, excluding free courses from their search, etc.) have prompted me to look for a better option for consolidating my video tutorials. I’ve been recently looking at Uscreen.tv as a flexible and reliable hosting and managing solution for my video tutorials. Uscreen.tv allows to put together a video course, control your pricing model (subscription or one-time), easily build awesome landing pages, email your students with your updates and so much more. You can use your custom domain and customize your courses to match your brand which was the biggest selling point to me. For more context on all the possibilities of this and similar platforms, read this awesome Social Media Today piece which is where I discovered Uscreen.tv from. While planning is important and there’s never such a thing as too much organization, diversifying is key to your cross-channel video marketing success. 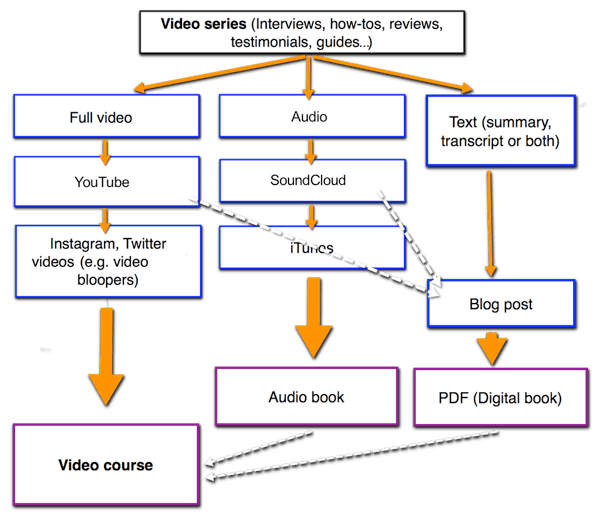 The thing is, you cannot really come up with one single video format that will work for every audience: some people will respond better to long educational content while others will need quick bit-sized videos explaining your point. Similarly, some types of videos will work better for explaining and selling your product, while other video formats will be needed to generate social media engagement and spreading the word. Live-stream your company events or conferences using simple devices like tablets and even mobile phones. Likewise, experiment with length, background music and topics. There’s a huge variety of things you can do and easy tools you can use these days, even without the need of hiring a professional video creator or buying expensive video software. Have you been creating and marketing videos lately? Share your own tips!